History of exploration was just becoming a hot topic in the Academy when I started my graduate work in the mid-1990s. Academic interest attached itself to post-colonial studies, focusing on regions of the globe where Europeans and Euro-Americans had done most of their empire-building: Asia, Africa, and the Atlantic World. The world of Polar exploration, however, remained quiet, a terra incognita of historical scholarship. Meanwhile, non-academic historians were churning out polar books in droves, on Robert Peary, Robert Falcon Scott, Ernest Shackleton and others. I suspect that all of this attention caused academic historians to shy away even further, to view polar exploration as suspect, a popular rather than serious subject of inquiry. It was in this environment that Beau Riffenburgh published his pathbreaking book Myth of the Explorer. Here was a scholarly approach to a “popular” subject, in this case a behind-the-scenes look at the most sensational explorers of the Victorian World. 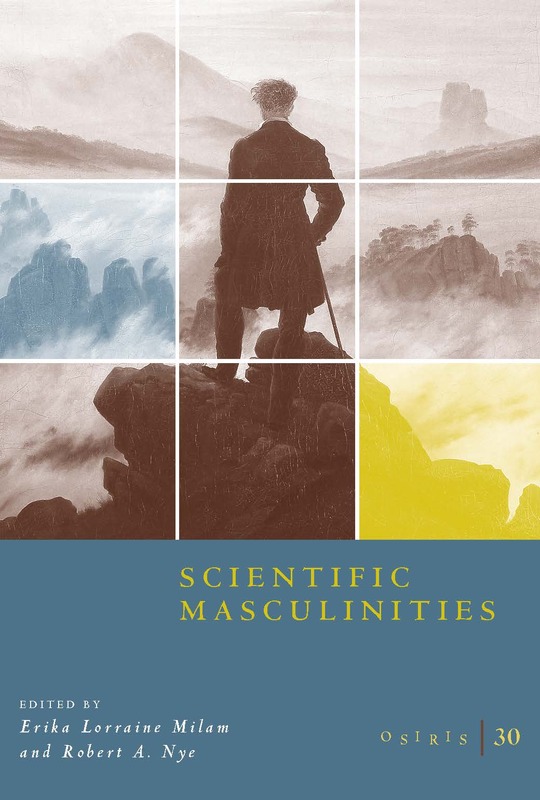 Riffenburgh’s book shattered explorers’ claims to be men of a different world, men built of a different mold. It showed how deeply embedded these men were in the world they left behind, in their values, their careers, and their financial dealings. Myth of the Explorer thus offered academic historians a bridge to the other side, a way of approaching the sensational explorers with a different set of aims, a different list of questions. 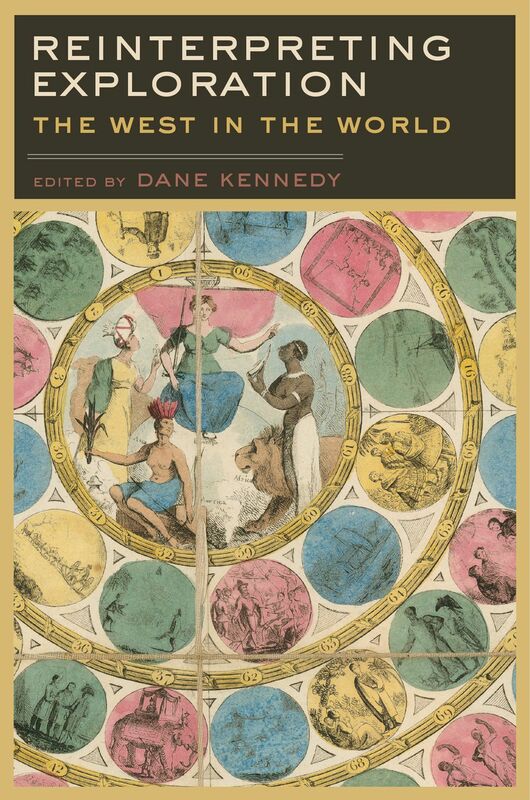 Although it is now out of print, Myth of the Explorer remains an essential resource for historians of Victorian exploration and it is cited in the works of Robert Kohler, Felix Driver, Graham Burnett, and Felipe-Fernandez Armesto. 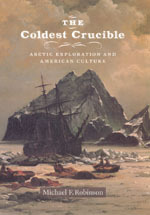 Its influence certainly extends to my own book Coldest Crucible. It is a pleasure to welcome Beau Riffenburgh to Time to Eat the Dogs. Your first book Myth of the Explorer looked beyond the heroic images of explorers slogging it out in the field to examine explorers’ actions back home, particularly their financial dealings with the popular press. This was a very different kind of exploration book when it came out in 1993. What led you to the project and your approach to it? 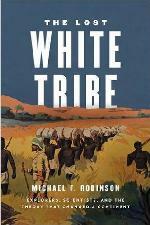 I long had been fascinated by exploration, particularly of the polar regions and Africa. I decided after working a number of years in publishing to go back for a PhD just because I wanted to spend several years researching something that really interested me. I had previously earned an MA in journalism, and also had strong interest in the history of the press. My PhD thesis, upon which Myth of the Explorer was based, allowed me to use these two interests to look at the other. Since the press played a significant role in sponsoring, promoting, and creating an interest in exploration, it seemed logical to use the press of the time as a vehicle through which to view exploration. 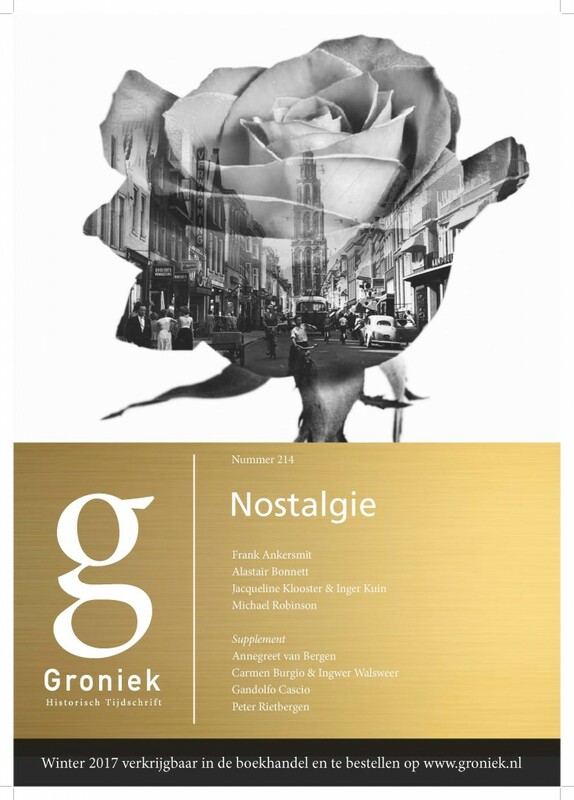 At the same time exploration could be a subject by which to test several hypotheses that I had about the way the growth and use of sensational journalism is generally presented in studies of the history and development of the press. In general, the book was received very well by reviewers. It was published by a small publisher, but it interested Oxford University Press enough that they sought it out to publish in paperback. I would like to think that it helped influence a number of scholars who have done studies since then. You served as Publication director for the NFL in the 1980s, writing a variety of books about American football. Did your work for the NFL reveal to you any links between modern sports and 19th century exploration? I was the senior writer for NFL Properties, the publishing and licensing branch of the NFL, and I essentially was director of historical research. I can’t say that my work there revealed any particular links between sports and exploration, but the switch between the two is not as bizarre as it initially sounds. I was one of several people around the country who conducted a good deal of research on what was sometimes known as the Ohio League, the informal grouping of professional football teams in Ohio and a few surrounding states before the founding of the NFL in 1920. This included many of the teams that went on to join the NFL, such as the Canton Bulldogs. I would like to say that the foremost scholar in this field, and one who is a marvellous researcher, is Bob Carroll, an independent researcher who lives in Pennsylvania and was the key founder of the Pro Football Researchers Association. Anyway, the main point here is that much of this research was carried out by carefully going through old newspaper accounts of football games in order to obtain data held there but seemingly otherwise lost. When I began my PhD, I continued using nineteenth-century newspapers as my primary data source, and was able to use essentially the same collection methods. In other words, although my subject matter changed dramatically as I went to exploration, my methods remained similar, so it was not a huge change in what I had done before. In recent years, you have published a number of trade books on exploration. 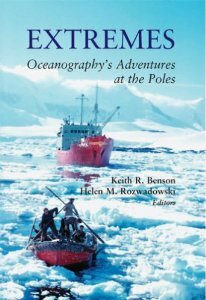 Your latest book, Exploration Experience: The Heroic Exploits of the World’s Greatest Explorers (National Geographic Society, 2008) combines your essays with reproduced documents, photos, and artifacts from famous expeditions. How did the experience of writing Exploration Experience and these exploration books differ from writing Myth of the Explorer? My two major books of the past five years have been Nimrod (published in the US as Shackleton’s Forgotten Expedition) in 2004 and Racing With Death in 2008. The first was the first account of the first expedition led by Ernest Shackleton, the British Antarctic Expedition (1907-09), on which he attained a farthest south. The second is an account of Douglas Mawson’s Antarctic expeditions, primarily his Australasian Antarctic Expedition (1911-14), on which he made perhaps the most amazing Antarctic journey ever. Both of these are scholarly books, written after extensive research in the archives where original materials are held, but, hopefully, written in a manner than will appeal to a general reader. I believe strongly that there is nothing stopping a book from being both scholarly and interestingly written. Exploration Experience is a different type of book, in that it is heavily illustrated and contains, as you mention, memorabilia from numerous expeditions. Moreover, it is an attempt to give a look at the overall history of exploration, touching on the highlights rather than giving extensive detail about any one expedition. It was fun to write because it includes accounts of exploration in Asia, South America, Australia, and other areas that I had not written extensively about previously. 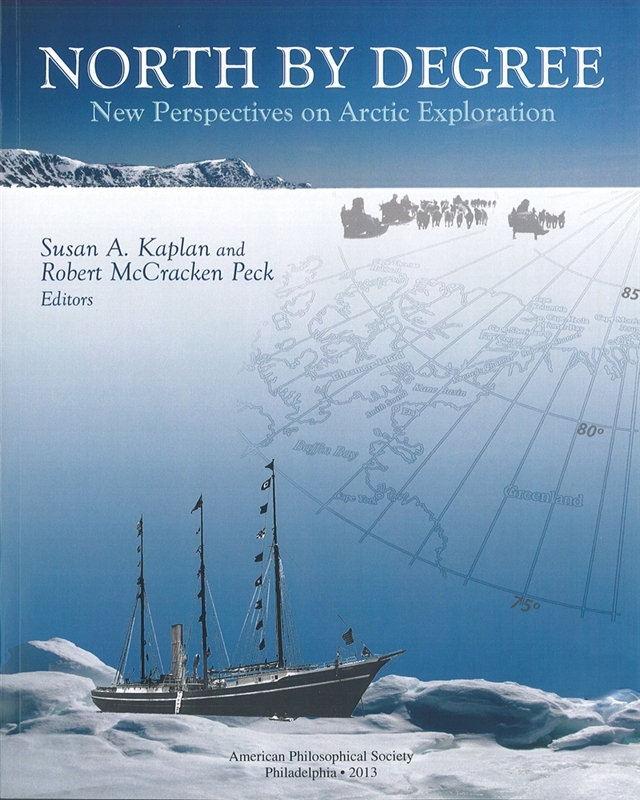 The text is not one long narrative, but rather shorter highlights about different expeditions, so it is a totally different — but equally enjoyable — writing technique. These differed from Myth of the Explorer in that they were more aimed at a general audience, whereas all along I felt that Myth of the Explorer would be more appropriate for a more specialist audience. I would like to think that all of them are enjoyable reads, but I think it is safe to say that Myth of the Explorer was not something that would grab the exploration enthusiast so easily as my more recent books. Myth of the Explorer offered a sober, often critical portrait of Victorian explorers. Trade books on exploration, however, tend to be more forgiving of explorers’ motives and actions. Do you feel any tension in moving from one genre of writing to the other? No, I try to follow the academic process throughout. I collect and analyze data and then present it in a fashion that I feel is fair, hopefully unbiased, and hopefully interesting. Nimrod, once to the ice, is, I hope, an exciting tale of adventure, but the materials for it were still compiled carefully and following the same “rules” of research as Myth of the Explorer. Since I have been writing and editing for a living for more than 25 years, stylistic changes in books are not excessively difficult to make, as shown by the fact that I have written a different book on a different aspect of the Mawson story in a different style. I hope it will be coming out in a year or so. As an American living in England, you’ve had ample opportunity to compare national cultures. Do Britons and Americans think differently about exploration? I can’t say that I think folks in Britain and the us think differently about the processes of exploration, but there tends to be a different emphasis perhaps. Regarding the polar regions, older generations in the UK grew up with the story of Robert Falcon Scott as something that everyone knew, and he was a great imperial hero, along the lines of Livingstone or Gordon. Perhaps because of this, and because of the Shackleton connection, in recent decades the Antarctic tends to have been a stronger general interest than the Arctic. The greatest American polar hero, on the other hand, was Robert E. Peary, an Arctic explorer. So although this is a huge generalization with all of the weaknesses that can be expected to accompany it, one finds a bit more Antarctic interest and knowledge in the UK and a bit more Arctic interest and knowledge in the US. This has somewhat changed with the Shackleton-mania that swept through the US and with the growth of tourism to the Antarctic, but it is at least a broad difference. And none of this is to say that neither country had any interests in the other region, as obviously Byrd was a great American hero and the British had any number of Arctic expeditions. Similarly, most Americans will learn more about Lewis and Clark and other explorers of North America, while many folks over here will be much more familiar with African exploration, for which many British explorers were key figures, such as Livingstone, Burton, Baker, etc. What do you think about the United States’ current Vision for Space Exploration, a plan to send astronauts back to the Moon and ultimately to Mars? I think that space exploration is very exciting. However, I do think that it is a totally different process than the exploration that was carried out in the nineteenth century. Then, to a great extent, it was based on man’s heart, will, and personal strength and determination. Now the man going into outer space would play a key role, but a very different role, since he is a part of a much larger package that requires a great deal more technological involvement. I think that much of the shift has been from man’s inner strength to his intellect. I am currently working on a follow-uo to Exploration Experience that concentrates on polar exploration, using the same format. I am also hoping to write a lengthy book about an explorer in a totally new (for me) area of the world, but I have been asked by the potential publishers not to discuss it at this time. A mystery to whet the appetite. Beau, thanks for speaking with us. through some research he is doing about a famous figure of investigation in union-management conflict who was a part of an event I had written about. I was impressed with his versatility in comfortably bridging the crevasse between academic audiences and general audiences, and his belief that there is merit in both sides of controversy.